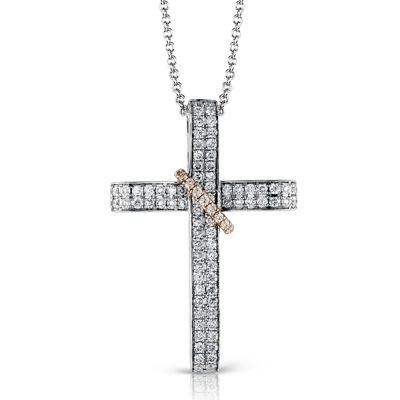 Where can I buy Simon G. jewelry? Will this ring fit my 1 ct diamond? 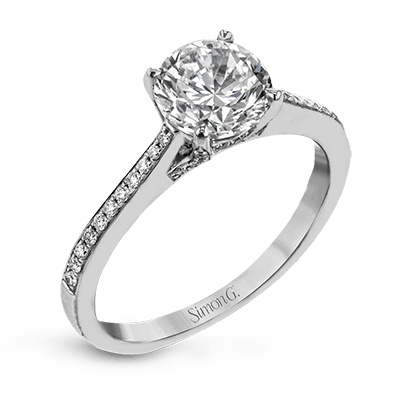 Many Simon G. Jewelry rings are made for around a 1 ct diamond, but each design can vary. 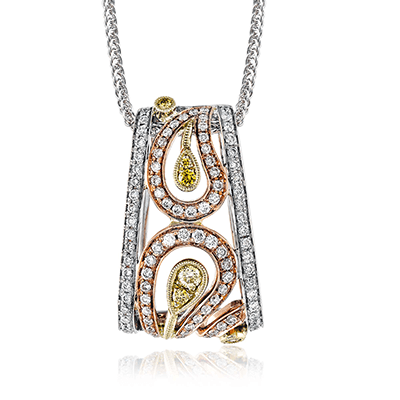 Some designs are made specifically for a 2 ct, 1.75, 1.5 ct, etc. If you like a particular ring that does not match your center stone size, we will custom build the center setting to fit your diamond. Please inquire with your Authorized Retailer about how to go about ordering a customized ring. I don’t know my/my partner’s ring size, how do I find out? 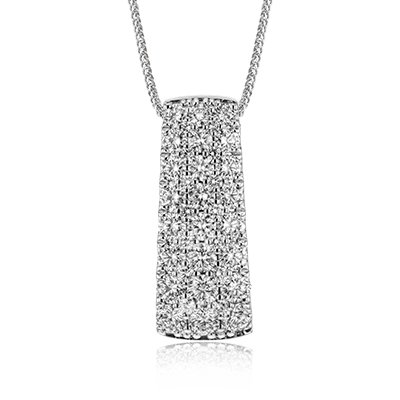 The best way to find out is to get professionally sized at a reputable jeweler. They will have ring sizers for you to try on. You can also measure rings that you already have to see what size they are and go from there. Some couples go ring shopping together- which makes it easy! But if you are planning a surprise proposal, it can be more difficult. Our customers have come up with many creative ways to find out. Some men have had their girlfriends try on rings while jewelry shopping for their ‘mother’s anniversary present’ or some other occasion. One man stealthily got impressions of one of his girlfriend’s rings in a bar of soap because he knew she wore that ring on her ring finger. Others have asked her friends or family for her ring size, if they were already in on the proposal plan. Sizing can be somewhat subjective because everyone will have a preferred fit- some like the rings to fit snugly so they do not move, and some prefer a looser fit. The right size should be easily taken on and off, yet secure enough that it will not slip off your finger. My ring doesn’t fit! What do I do? Many rings have to be resized which is perfectly fine as long as it is less than two ring sizes. FYI, some complex designs and eternity bands cannot be resized, so inquire at your jeweler ahead of time about this! Can I customize this ring? How much will it cost? Of course! 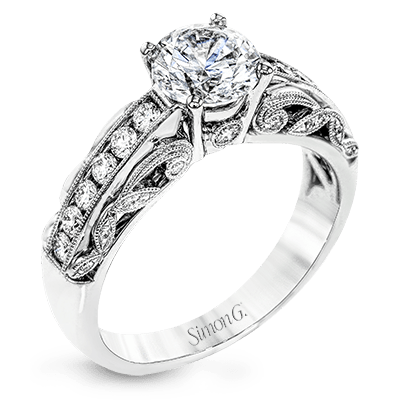 Simon G. specialized in custom orders since we build all of our rings in-house with individual attention. We can customize the smallest detail, like metal color, to the largest, like the overall ring shape. Talk to your nearest Simon G. Authorized Retailer (link to where to buy in text) to finalize designs and receive a custom quote. Can I get this ring engraved? We can add inscription to the ring (popular inscriptions include wedding date, names, initials, and song lyrics). We can engrave a variety of designs- not only words, but symbols like fingerprint designs, as well. With laser engraving we can get remarkable detail and precision. Can I get my ring sooner? 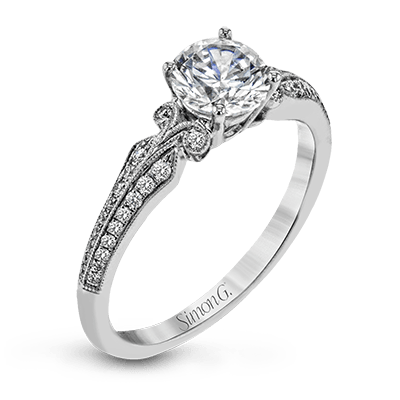 All Simon G. Jewelry pieces are crafted to order- we do not have stock pieces stored which we alter for your ring size and diamond size. All orders go through our careful design and quality control process, with every detail taken into account. This amount of care and detail does take a certain amount of time because we will not sacrifice quality or let something below our standards leave our building. We understand that our pieces of jewelry are incredibly important to our customers, please be assured your ring is being taken care of while in our care! You can inquire with your Authorized Retailer about possible rush orders. Do you have any international retailers? We have retailers throughout the US, Canada, and the Caribbean. 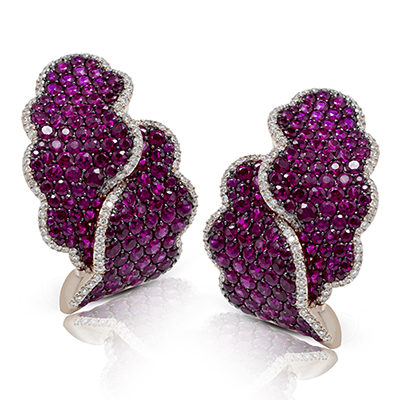 Visit https://www.simongjewelry.com/where-to-buy to see where Simon G. is sold. How do I know I am getting a quality ring? 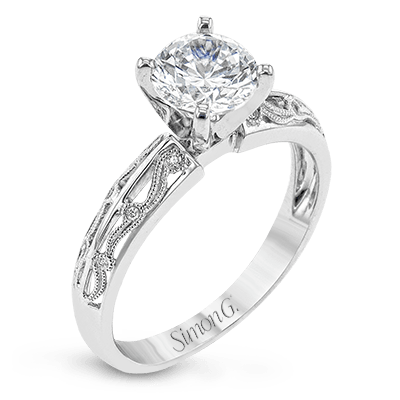 Quality is one of Simon G.’s top priorities, and there are many ways we insure our jewelry is top quality to last a lifetime. Every single Simon G. jewelry piece goes through at least 10 quality assurance checkpoints underneath microscopes before leaving the building. 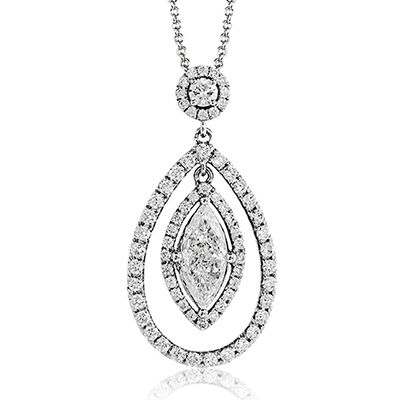 We only use the finest materials in our jewelry. 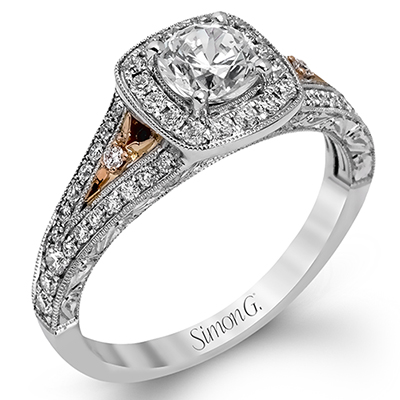 All Simon G. Jewelry engagement rings are 18k white, yellow, or rose gold, or platinum. 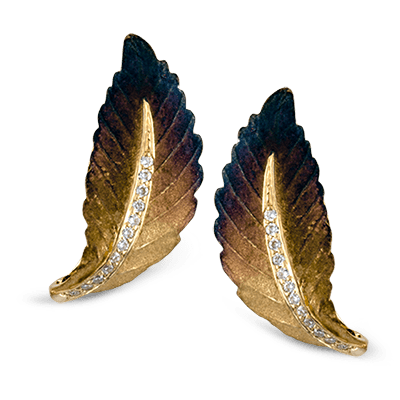 We mix our own propriety proportions of alloy metals with gold to insure our white gold stays whiter longer and is both malleable and strong. Side diamonds in engagement rings and wedding bands are G or higher in color and VS or higher in clarity. 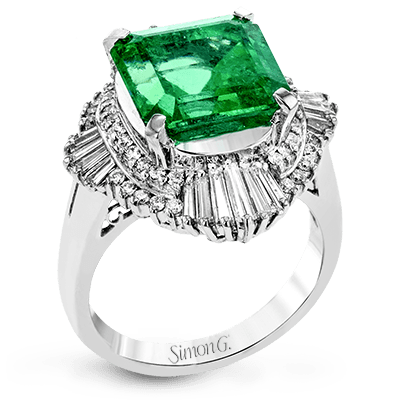 Simon and his sons travel the world buying our diamonds and colored gemstones, personally insuring that they are top quality and from reputable sources. I’ve got the engagement ring, and she said yes! Now what should I buy as a wedding band? Many of Simon G.’s engagement rings come as a set with the matching wedding bands. These are referred to ‘wedding sets’. The wedding band matches perfectly style-wise and shape wise to fit alongside the engagement ring. They are created as a pair. If this is the look you are going for, it is an excellent idea to purchase them together, so you do not have to find a matching band later. 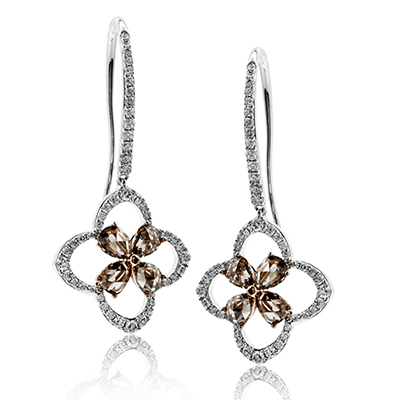 Some couples choose to forgo the matching wedding band and select a different one instead. This creates a unique pairing, instead of a perfectly matched look. It is up to you! We have many wedding bands that you can purchase separately. Certain couples may choose to add bands as their relationship progress- perhaps an eternity band worn on the other side of the engagement ring given at the birth of their first child or their 5-year anniversary. I can’t find the matching wedding band for my ring on the website. There are some engagement rings for which we do not have a pre-designed wedding band already. If you purchase one of these, you have several options for wedding bands. You can find a straight band which pairs well with the engagement ring. We can also design a custom band- it can match the design or be slightly different, it is up to you! How do I know this ring is an authentic Simon G. Jewelry piece? If you didn't find your answer here please contact us here.